Bungie’s Luke Smith, design director on Destiny, has commented on the future of the franchise and might have hinted at the inclusion of old Destiny 1 content in Destiny 2. In a new post on the official Bungie website, Smith thanks former publisher Activision, High Moon Studios and Vicarious Visions for their work and writes about Bungie’s long-term commitment to the franchise. While the franchise director doesn’t directly say it, the reference to “roots” and “memorable past” might very well indicate that Bungie plans to introduce old content from the original Destiny in the Destiny 2 of future Destiny titles. 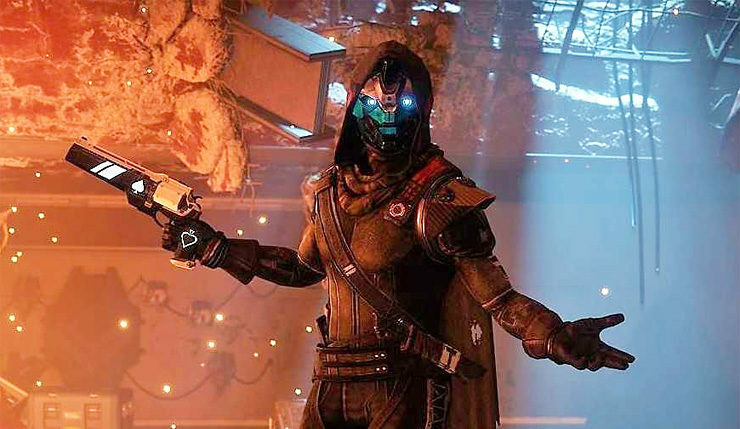 “The vast majority of the team is hard at work envisioning future experiences, enemies, and ways to play the Guardian you’ve been building since 2014”, Smith writes. First: Our sincere thanks to the people at Activision who’ve helped bring Destiny to our players, High Moon Studios for their wonderful collaboration on Forsaken, and Vicarious Visions who helped establish a Destiny community on PC, worked with us on Warmind, and who is currently readying their Destiny swan song with content that will appear in the upcoming Season of [Redacted]. Next: In the short-term, we’re continuing to build the content we’ve promised for the Annual Pass. We’ve learned a lot from Black Armory that we will apply to future releases, most notably that we’d like the beginning experiences of content drops to be a better point of convergence for the playerbase. In Black Armory, we set the Power requirement for the first forge too high, and that meant it wasn’t a great chance to jump into some new content. We want to find the line between new content that many players can play, and aspirational content for players to progress toward. We’re exploring improvements to catch-up mechanics for players in upcoming seasons. Destiny 2 is available globally now for PC, PlayStation 4, and Xbox One. Earlier this month the split up between Bungie and Activision was announced.